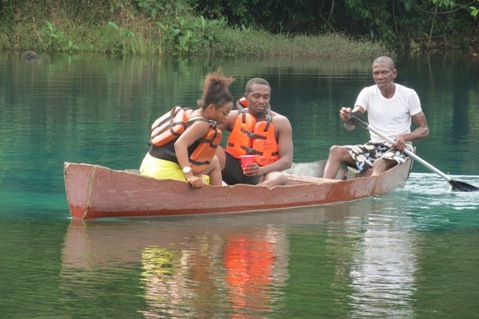 Is Delta State Making The Most of Her Tourism Attraction? 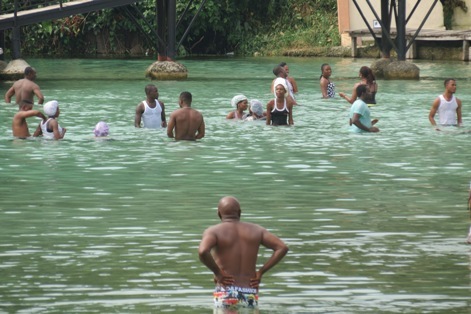 LAGOS JULY 3RD (URHOBOTODAY)-Studies have shown that tourism serves to bring in foreigners, who spend significantly and contribute directly and indirectly to virtually every aspect of a nationals and states economy . Tourism development often results in increased revenue to government through rates and other charges. In addition, it is becoming increasingly common for people who visit tourist centers and are impressed with the area to return as residents, thereby increasing demand for other services. A thriving tourism industry supports growth in other sectors such as transport, construction, agriculture and retail. As tourism increases, there are more opportunities for small scale business to develop too. The expectations and needs of visitors can often lead to the creation of new businesses and commercial activities. This builds a more diverse economic base and reduces reliance on what can be called traditional industries, and dependence of oil revenue. The beauty of Delta State is held together by the dozens of rivers, streams and creeks which crisscross it. The River Ethiope, has turned AbrakaÂ the heart of academic activities to a tourism destination in Delta state. The wonders of MaCARTHY Beach owned by Gordon Resort Hotel Ltd Located at the university town endowed with some of the most beautiful sceneries in Urhoboland, in between Abraka and Obiaruku, approximately four kilometres away. It is a delight for those who want to get away from all the bustles of crowded cities. Gordon Resort comes with a serenity that only an African jungle can offer. The facility, from close observations, beautifully expresses the undiluted beauty of nature. The location of this facility helps to make it an irresistible place to explore. The beach is famous for its natural flowing spring water, sports recreational facilities for outdoor activities like swimming, canoeing, fishing, picnicking and so on. 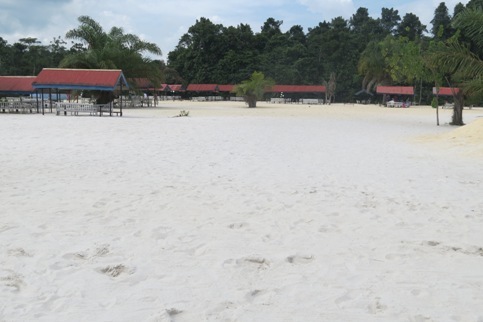 This is because it is a beautiful water beach resort with one of the clearest and cleanest rivers around the region. Area. It then flows through seven Local Government Areas in the state.It runs at a considerate speed from its source eight kilometres from MaCARTHY Beach. The water is clean and clear and flows over sharp white sand, creating a wonderful and inviting place for swimming, boating, fishing and relaxation. Gordon River Resort is in a class of its own with a practical display of nature at its best. The vegetation of the place is beholding for holiday makers, who cannot afford to ignore the breathtaking sights of the environment that is surrendered by the finest water. It is described by regular visitors as one of the world’s best kept secrets. It has one major restaurants that serve local and international cuisines, several Mini and VIP suits, Terrace Bar at the main building perfect for evening relaxation, including a pavilion at the back entrance of the breach beside a sport mini houses with huge gardens blooming with exotic tropical plants, children’s playground, sports bar,cabanas, volleyball court, beach football ground covered with white sands, running tracks and boats for rowing tours along the river banks. At the main entrance of the beach, shops for Ice cream, pop corn, shawama, wine and Photo-studio give you a taste of another community outside community. According to the CEO of Hotel & Catering Service Mr. Matthew O Enamutor they have been running hospitality service for over 42yeaes therefore when the idea of Gordon Resort Hotel came, they quickly commenced work due to the topographical location of the place and the Ethiope River which also served as tourist attraction was uniquely placed to take advantage of tourism potentials of the luxuriant and natural phenomena that are in the Ethiope River. states like Cross River State, Akwa Ibom, Lagos State, nothing significant is being done by other states to boost tourism activities in their state. Delta state for instance has scores of attractions that are simply compelling.Fascinating palaces, historic sites, monuments, birthplaces of famous people, traditional festival, crafts centres – name it. We have the Otuogu Beach in Asaba, Okpuzu Fall, in Ibusa, the Isha Festival Ewulu, Araya Bible site, spot where the Holy Bible is believed to have descended to miraculously from heaven around August, 1914. The site now attracts thousands of Christian Pilgrims. Chief Nana place koko is a Living History Museum, the only one in Nigeria. It was built by Chief Nana Olomu of Ebrohim. The lyiada Valley, Ogwashi-Uku, the Residency, Asaba. The first Headquarters of the Royal Niger Company etc. There is, therefore, need to create and develop this tourism-oriented centres, built around our many unique cultural heritages, like the Calabar Carnival, which has been dubbed â€˜Africa Biggest Street Partyâ€™, founded as part of a vision to make Cross River State a major tourist destination for Nigerians and foreigners. During the countdown programme, the Lagos Bar Beach, which is one of the countryâ€™s tourist centers, became a beehive of major commercial and leisure activities, just like what is seen in the Caribbean, with thousands of domestic and foreign visitors thronging in to be entertained by different artistes. In view of the foregoing, there is no doubt about the enormous gains that lie with investments in the tourism sector. These pockets of wonderful tourism initiatives are, however, not enough. More efforts should be channeled at bringing and developing our Beaches, parks, game reserves,forests and other natural spots to international standards. Also, infrastructure and logistics for transportation, accommodation and catering, Restaurants, Cafes, Clubs, Bars, Hotels and other such facilities, which support a thriving tourism industry, should be a top priority for the state government and for individual investors. If properly manage, it will help increase our internal generated revenue. 2019 Delta Gov: Okowa, Ogboru Who The Cap Fit?